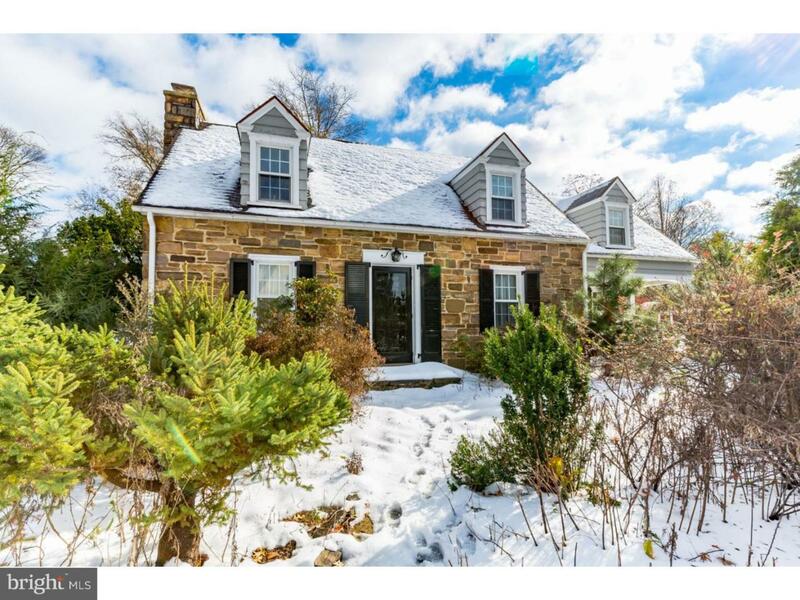 Charming details throughout in this classic 4 bed home in the heart of Lansdale. The front porch and stone exterior are welcoming and inviting and you know on entering this is not your ordinary cookie cutter home. New hardwood floors can be found throughout the main level of the home. Wonderful large stone fireplace with insert will create a cozy warmth throughout the living room space. Large dining room space with built-ins and french doors is perfect for entertaining all your family and friends. The kitchen, in the back of the home, overlooks the private gardens and is flooded with natural sunlight. There is a newer sliding door out to the deck space for ease of enjoying the private backyard space. Main floor laundry and updated powder room also found on the main floor. On the upper level is a very large master bedroom space with hardwood floors and two large closets. Three additional secondary bedrooms on the upper floor are prefect for a larger family or for those who need a home office or guest spaces. Fabulous storage can be found throughout the entire home. Many newer updates include: carpet, oil tank, boiler, windows, and plumbing. This home is loaded with character and is just awaiting the new owner to add their personal touches. Convenient location and close to shopping, entertainment, train, and major routes. Do not delay. A must see gem!